Looking for breathtaking beauty combined with incredible resort amenities? 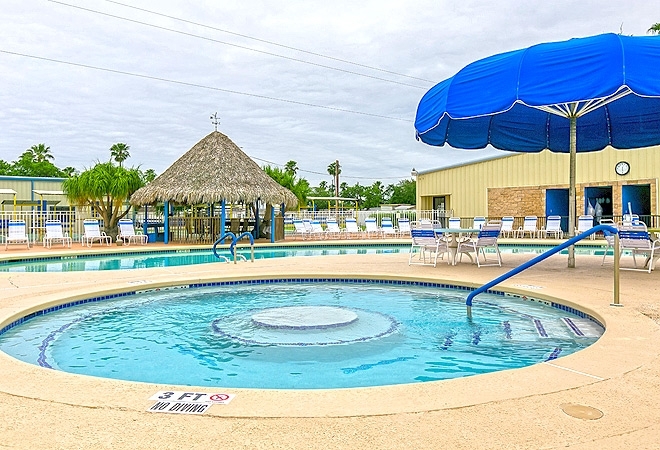 Sunshine RV Resort is located in the heart of the Rio Grande Valley, and offers extensive recreational opportunities and superb hospitality. Just minutes from the Gulf of Mexico, the area features an outstanding climate with a relaxed and friendly way of life. Fascinating historic sites, natural wonders and cultural attractions are all within a short distance of Sunshine Campground. This beautiful and newly expanded Texas RV resort awaits your arrival. Enjoy the fantastic weather, exciting activities and a terrific social lifestyle at Sunshine RV Resort. Let us show you why we're one of the most desirable Texas RV resorts!